The pick of the holes on the Champions Course include the 5th which is a slight dogleg par 4 with a stream running beside the tee boxes and then cutting across the fairway about 160 yards from the green which is protected by three large bunkers. The 9th is a lovely par 3 with a carry over a water hazard and a larger beach bunker to a narrow green with another bunker just over the green. The 11th is a long par 5 with two large fairway bunkers along the right and a stream running across in front of the green. The 12th is another interesting par 3 with water both sides and bunkers either side of the green. The 14th is an unusual holes with a fairway split by a water hazard and you have a choice of hitting across the lake which leaves an easier approach of keeping to the left and then you have to carry over water to the green. The 16th is a difficult par 4 with three fairway bunkers protecting a narrow landing area and then two pot bunkers protecting the left side of the green. The 17th is a long dog-leg par 5 with fairway bunkers all along the left and deep bunkers in front and behind the green. 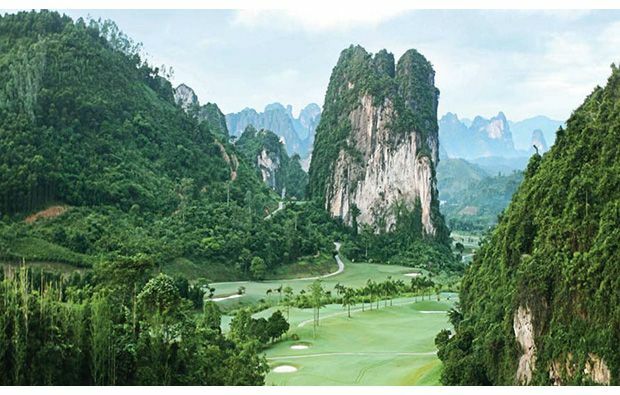 The pick of the courses and the most spectacular is the aptly named Dragon Course. 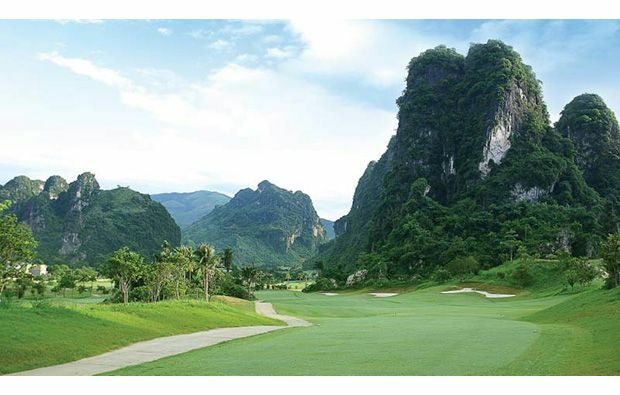 The front-nine is very dramatic and it’s difficult to concentrate with such incredible scenery and the course is full of beautifully designed and presented holes with numerous natural and man-made hazards to negotiate. Some interesting holes include the par 4 2nd with a stream running in front of the tee-boxes and fairway bunkers protecting either side of the landing area. On the par 5 4th, a stream starts alongside the tee boxes and then crosses the fairway and continues along the right side of the green, creating what is effectively three island fairways offering several different ways to negotiate your way to the green. 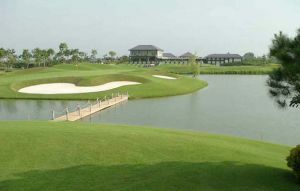 The 10th is a medium length par 3 with a tee shot across the water hazard to a green fronted by a huge and deep bunker. The 17th is another long dog-leg par 5 with bunkers all along the edge of the fairway waiting to collect the pulled shot. 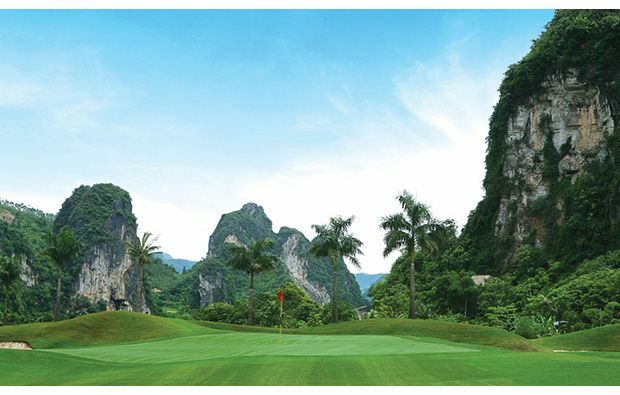 The Phoenix course was designed by Ronald Fream and he has had no choice but to use the natural contours of the land and to choose a route between the limestone mountains. A massive clubhouse with all the usual facilities which is again blighted by the poor maintenance and indifferent service which takes the edge off the day. 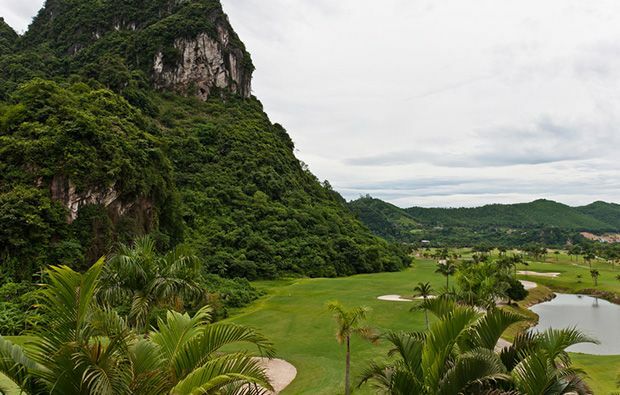 With three courses to choose from, it’s not a problem to secure a tee time at this golf club. This course is very popular with Koreans, so you may have to put up with a slow round. Phoenix Golf Resort has different Services to offer. Choose a date and number or players to see the rates.